Guys over XDA-Developers have managed to Jailbreak / Hack PlayStation 3with Android Phones including Nexus One and HTC Desire, also Nokia N900 / N800 and Palm Pre on the list. With this hack you’ll be able to create backups of your PS3 games. You’ll have to use Google to find other uses. Step 1: Check your device compatibility from here. Step 2: Download this package and extract it using Winrar. Step 3: Copy “PS3-signed.zip” and “PS3-no-more-signed.zip” to your microSD card and reboot your phone into recovery console. Step 4: Once you reboot it, flash “PS3-signed.zip” on your phone and reboot it. 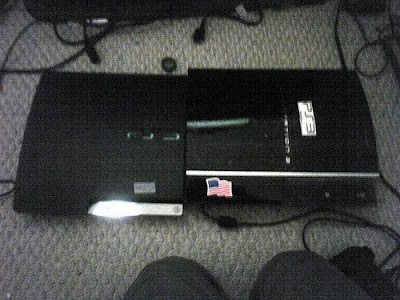 Step 6: Now, turn off your PS3, For PS3 Fat Model: switch off from back, For PS3 Slim Model: unplug console from wall. Step 7: Now connect your Android phone via USB. Step 8: Turn on your PS3 and press the power button followed by eject button in quick succession. Step 9: Yeah! Now your PS3 got hacked using an Android phone. You should see “Install Package Files” under Game on the Cross Media Bar (PS3’s UI), this will confirm that your PS3 is now hacked. Also MuscleNerd is working on Hacking PS3 using a Jailbroken iPhone, Stay tuned for this big one.